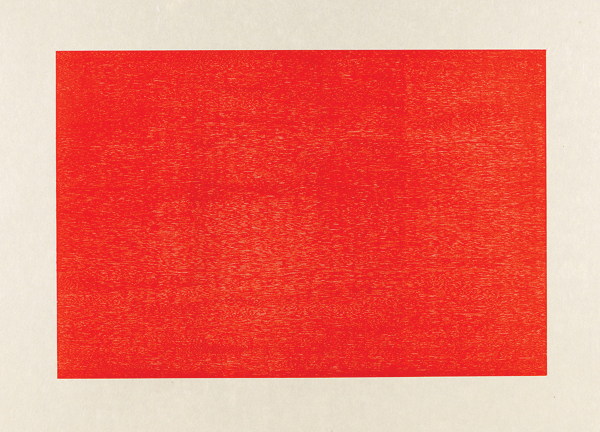 In cadmium red, for Valentine's Day - Donald Judd, Untitled (Schellmann 153-156), 1986. At Paul Kasmin Gallery (afterwards take a ride across town for tea at Rose Bakery). beautiful woodcuts by Donald Judd at Prints: Flavin, Judd, Sandback.